Jonathan joined Chambers as a tenant in September 2018 following successful completion of his pupillage. He is developing a broad practice including commercial litigation and arbitration, EU / competition law and public law. Acting in a c. $150m UNCITRAL arbitration concerning a joint venture for the operation of an oil refinery (led by Mark Howard QC, Neil Calver QC and Stephen Midwinter QC). SICL v Awal: a dispute between companies in liquidation / administration concerning the beneficial ownership of various assets. Acting for a firm of solicitors in claims brought against the firm by a former partner (led by Richard Blakeley). Advising on EU law and international law aspects of a long-running extradition dispute (led by Maya Lester QC). Advising a public body on a prospective application for annulment under Article 263 TFEU (led by Tim Johnston). PSJC Commercial Bank Privatbank v Kolomoisky: a US$2.6 billion claim against two oligarchs concerning loans from Ukraine's largest bank (assisting Mark Howard QC and Alec Haydon as a pupil). Warner-Lambert v Mylan, Actavis & ors: an appeal to the Supreme Court on the construction of “Swiss form” second medical use patents (assisting Nicholas Saunders QC as a pupil). Lifestyle Equities v Sports Direct: a commercial / IP case concerning trade mark infringement and inducing breach of contract (assisting Nicholas Saunders QC as a pupil). AY v Croatia: A preliminary reference to the Court of Justice of the European Union concerning the double jeopardy exception to the Member States’ obligation to execute a European Arrest Warrant (assisting Maya Lester QC and Sarah Abram as a pupil). A confidential arbitration concerning a financial services introducer agreement, raising issues of construction, misrepresentation and estoppel (assisting Alec Haydon as a pupil). Advising on a prospective cartel damages claim, including advice on the collective proceedings regime in the Competition Appeals Tribunal (assisting Sarah Abram as a pupil). Before coming to the Bar, Jonathan worked for two years at an asset management firm, specialising in currency risk hedging. Jonathan was part of a team responsible for analysing and improving the firm’s currency derivative investment strategies, and also co-authored a book chapter on emerging market currency investing. He now looks forward to using his experience of foreign exchange and other financial markets in commercial litigation. Jonathan graduated from the University of Oxford in 2012, with first class honours in philosophy, politics and economics. He later converted to law, and was awarded the Ann Ebsworth Award, the Birkenhead Award and the Atkin Scholarship by the Honourable Society of Gray’s Inn. SICL v Awal: a dispute between sister companies in liquidation / administration concerning the beneficial ownership of various assets. Appearing unled in County Court commercial hearings. ED & F Man Ltd v Obex: a dispute between two brokers concerning the introduction of clients by one to the other, raising a question about the jurisdiction to serve out an application for pre-action disclosure (assisting Alec Haydon as a pupil). 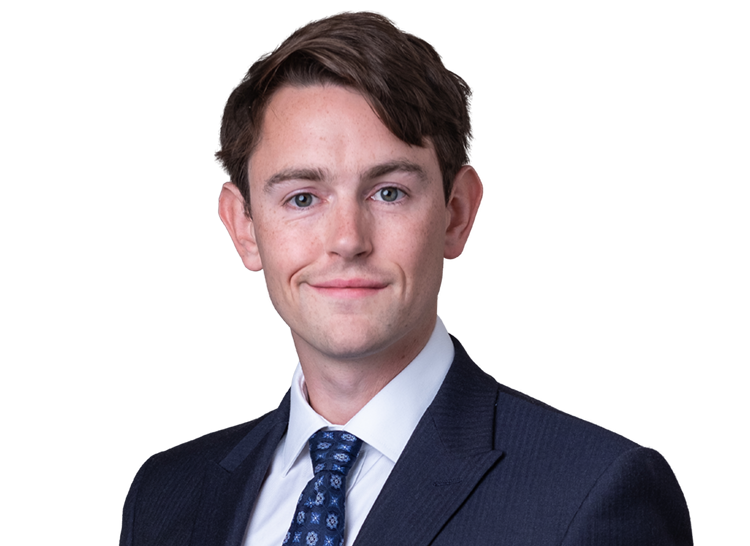 KLM v Aruba La Mia: a claim to enforce a debt in respect of repair works undertaken on an aircraft (assisting Alec Haydon as a pupil). Canal and River Trust v Thames Water: a commercial judicial review concerning the construction of the statutory scheme governing the quantum of payments which Thames Water makes for the abstraction of water from the River Lee (assisting Sarah Abram as a pupil). Advising on the prospects of recovering substantial losses caused by the alleged fraud of an art dealer (assisting Alec Haydon as a pupil). Pelham EA, Funke Medien and Spiegel Online: three preliminary references to the Court of Justice of the European Union which were heard together, raising overlapping issues concerning the construction of the Information Society and Related Rights Directives and their interaction with the Charter of Fundamental Rights (assisting Nicholas Saunders QC as a pupil). Vattenfall AB & ors v Prysmian & NKT: A follow-on damages claim relating to the power cables cartel (assisting Aidan Robertson QC and Sarah Abram as a pupil). Granville v MELCO: a cartel damages claim relating to the DRAM cartel (assisting Sarah Abram as a pupil). Mediamarkt Saturn Holdings v Panasonic & ors: a c. €200 million follow-on damages claim relating to the CRT cartel (assisting Sarah Abram as a pupil). Bajracharya v Secretary of State for the Home Department: an appeal to the Court of Appeal concerning an application for judicial review of an immigration decision (assisting Sarah Abram as a pupil). Jonathan assisted on a range of intellectual property matters during pupillage, including patent, trade mark, copyright and passing-off claims. Cadbury v Comptroller General of Patents Designs and Trade Marks: Cadbury’s appeal concerning its trade mark for the colour purple applied to chocolate packaging (assisting Nicholas Saunders QC as a pupil). Apple v Qualcomm: a substantial telecoms patent infringement case (assisting Nicholas Saunders QC as a pupil). TQ Delta v ZyXel: a patent infringement case concerning standard-essential patents in DSL broadband technology (assisting Nicholas Saunders QC as a pupil). Advising on a proposed claim for passing-off against an overseas defendant, raising issues of jurisdiction (assisting Nicholas Saunders QC as a pupil). Advising on a proposed claim concerning stolen physical and intellectual property (assisting Nicholas Saunders QC as a pupil). Corominas and Scott, “Investing in Emerging Market Currencies: A Rewarded Risk,” in Pojarliev and Levich (eds. ), “The Role of Currency in Institutional Portfolios” (2014).